Dolce & Gabbana got real vintage Versace on us for its Spring 2012 collection, which was presented during Milan Fashion Week on Sept. 21, 2011. 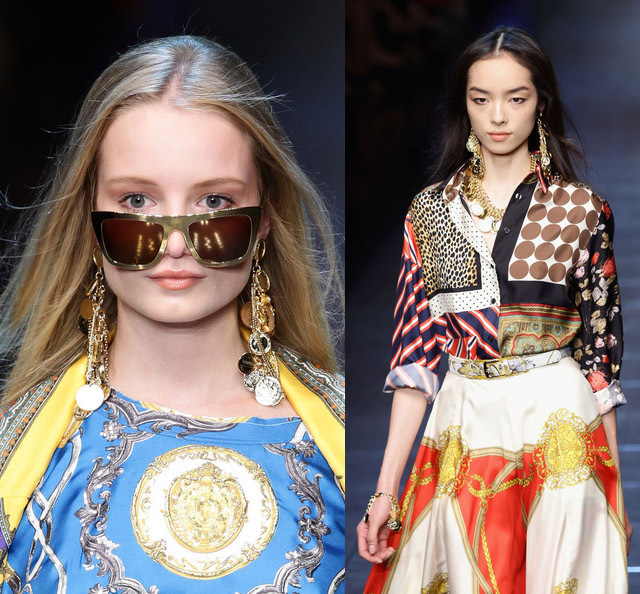 While reaching for the stars with its Fall 2011 collection, D&G found an array of prints, with a mixture of colors, silk fabrics, and rare coin style accessories for Spring 2012. And, when placing all the pieces together, Dolce and Gabbana really shows us a thing or two about mixing and matching various patterns to create a seamless, look.